The relatively dry 2017-18 winter in California resurfaced recent memories of drought conservation mandates. From 2013-16, urban water utilities complied with voluntary, then mandatory, water use limits as part of Executive Order B-37-16. Urban water utilities met a statewide 25 percent conservation target, helping the state weather severe drought. Winter rains in 2016-17 led to a reprieve from mandatory conservation. Freed from statewide requirements, urban water agencies ended mandatory cutbacks by meeting “stress tests” that included several years of secured water supplies. A useful outcome of the 2013-17 drought period was long-needed reporting data on monthly urban water use and conservation. This reporting has continued, creating a growing repository for measuring trends. The data helps understand how much water California cities actually use, including trends over time, across geography and seasonal differences. But importantly, can it help understand how much water California cities should use? Some analysis of the water conservation reporting data, coupled with recent research, lends a few clues to this more complex question. Recent water use totals through the end of 2017 show that cities in many parts of the state continue to use less water compared to 2013, but not as efficiently as during drought. There were a few exceptions, including the South Coast, where 59 percent of utilities reported increases compared to the similar period in 2013. But examining trends over time and space is instructive. Some localities continued high, even ostentatious, rates of water use. In addition, seasonal differences are evident. Drier months see much higher per capita water use due to outdoor irrigation, as shown in graphics via the Pacific Institute’s water use webmap. But winter irrigation can be just as important. Moving toward urban landscapes with no winter irrigation requirements can be as effective as limiting summer irrigation. Many cities in California have higher rates of water use than counterparts in other countries. But what does a target of 100 gallons per person per day (total use) actually mean for urban life? The 2016 executive order sought to address this question in part by requiring state agencies to develop water use budgets based on specified targets of indoor use, commercial and industrial needs, and outdoor irrigation. This effort is continuing. But water use budgets themselves do not reveal the implications of various per capita targets, especially for outdoor needs. Could a city in coastal Southern California, for instance, exist with 80 gallons per capita per day of total use? What would this mean for its plants, trees and landscapes? How would the effects change in the San Francisco Bay Area or the Central Valley? Urban ecology research demonstrates that plants and trees often show distinct and varying physiological characteristics and water use trends in cities, owing to irrigation habits, climate and other factors. Such emerging knowledge must help inform practice. In Los Angeles, for example, research used experimental data for species-specific tree and lawn water use to estimate outdoor water use budgets and associated effects of conservation on trees and plants. Across metropolitan L.A,, an estimated target of 80-100 gallons per capita per day could support trees and low water landscapes, along with current residential and commercial needs, while also allowing for significant cutbacks in imported water. More aggressive conservation at the lower end of that range would require long-term conversion of the existing tree canopy to low-water and drought tolerant species. Well-designed urban yards can support important plant and animal species, but residents need better tools, information, and guidelines on soil and irrigation practices. Outdoor landscapes constitute 50 percent of total urban water use in many areas. Water utilities increasingly fund replacement of lawns as a way to promote long-term conservation. But most programs do not require resultant landscapes with ecological diversity and native plants. Research from Los Angeles indicates that, even in the absence of such requirements, turf replacement can yield more diverse landscapes. Urban utilities with ecologists on staff can better ensure turf replacement that supports biodiversity, native vegetation and trees. Some examples, such as the City of Long Beach’s turf replacement program, offer useful guidance for residents. Resources such as the Calflora database of native California plants and Cal-Poly’s Urban Forest Ecosystem Institute tree selection guide are excellent statewide resources. But improving native and drought-tolerant plant selections in California’s urban nurserieswould allow residents to translate such information into practice. Urban water use trends are usefully understood when consumption data is linked with other data sets, including United States Census data, county property tax records and climate trends. This allows for high-resolution analysis that informs investments and rate-setting procedures. Some examples of innovative data initiatives exist, including the California Data Collaborative. Such tools have cascading benefits for planning. Statewide efforts around water data are ramping up, but the state’s fragmented system of water governance inhibits broader analysis. Moreover, high-detail water use data is difficult to obtain. More accessible data across residential, commercial, industrial and institutional properties is essential for improving management. Linking and publishing this data is an important step for promoting 21st century, data-driven urban water polices in California. Both water utilities and residents are essential participants in continued conservation. Utilities must retool finances to stabilize revenues given long-term conservation. Additionally, they must better engage residents and community organizations in promoting culture change. But residents also have responsibilities. Building social capital is key. Community-based organizations help engage residents in this task. 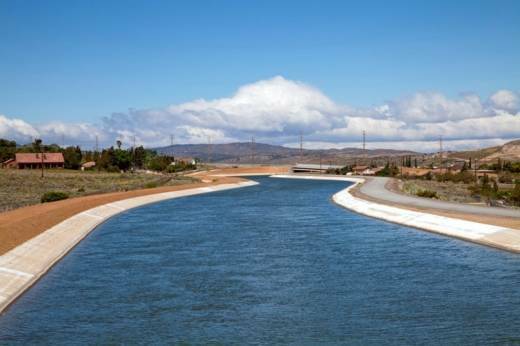 For example, the L.A. River Project with its Water L.A. program engages residents in remaking landscapes for dual goals drought-tolerance and stormwater management. The Sacramento Tree Foundation and TreePeople are additional examples of community-based groups effectively bridging gaps between residents and utilities. Water agencies that meaningfully engage community groups will be better positioned to promote long-term conservation. Given the popularity and continued growth of California’s cities, along with the inevitability of drought, urban water conservation will need to continue. Implementing policies to promote equitable conservation, which also supports cities where we want to live, is a challenge that an innovative California is capable of tackling. Erik Porse is a research engineer in the Office of Water Programs at California State University-Sacramento and a visiting assistant researcher at the University of California, Los Angeles. This article appeared on Water Deeply, and you can find it here. For important news about the California drought, you can sign up to the Water Deeply email list. This story first appeared on California Water Blog, published by the University of California, Davis Center for Watershed Sciences.